Protective lens helps keep 21-1/2" x 60" poster in place and safe. 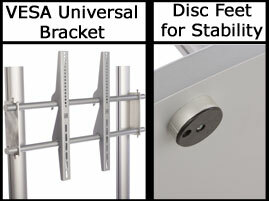 VESA LG bracket holds 42" to 60" LCD or plasma television weighing up to 80 lbs. 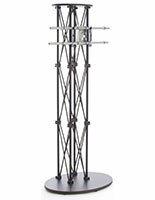 Adjustable bracket displays LCD or plasma television vertically or horizontally! 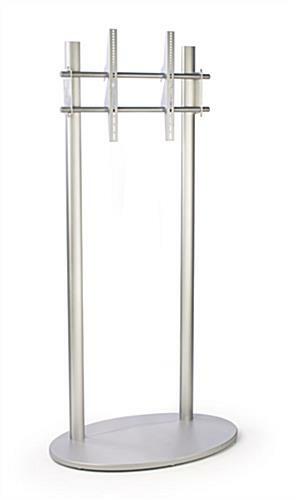 Monitor stands, plasma stands, and other LCD TV stands are perfect for retail store, office, trade show, and conference room use. 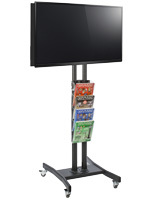 These 50" LCD TV stands are designed to hold a 21-1/2" x 60" poster. 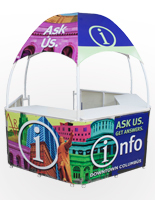 A non-glare lens is included to keep your poster visible as well as protected. LCD TV stands come with a VESA LG bracket for holding a 42" to 60" TV, weighing up to 80 lbs. VESA brackets are designed with manufacturers to fit most televisions, and include hardware to mount your plasma or 50" LCD TV, though some may require specific screws you can purchase at any hardware store. This LED bracket is ideal for any brand television including but not limited to Samsung. 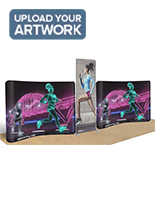 This LCD TV stand can mount a 50" that will attract and captivate attention from passersby. This LED bracket is VESA LG compatible making it the best capable mount for any television even your Samsung. 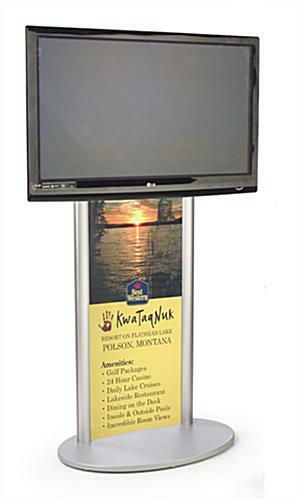 Mounting a 50" LED television to this LCD TV stand is often seen at tradeshows and events. 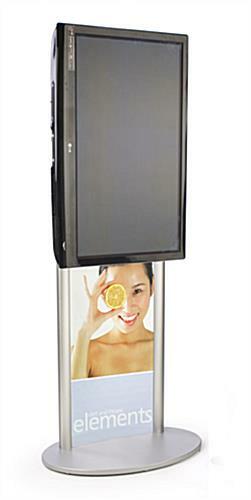 This LED mount along with its graphical element makes this display attention-grabbing at any location. 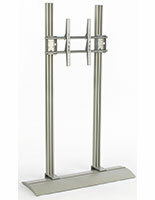 LCD TV stands have an adjustable bracket that allows you to display your television horizontally or vertically. 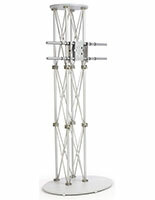 This bracket also allows you to change the height a plasma or LCD television is displayed to provide the best view. These plasma stands, LCD TV stands are shipped unassembled to keep shipping costs lower, and are easily put together using simple tools in a few minutes. 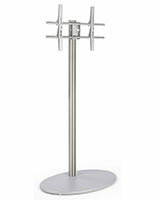 Made of aluminum with a satin silver finish, LCD TV stands blend in with any décor is quite durable for years of use. 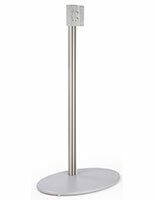 With (7) disc feet on the MDF base to keep it stable, these plasma stands, LCD TV monitor stands are ideal for use in heavily trafficked areas. Please Note: Graphic is not included with LCD TV stands. When designing your images, keep in mind actual graphic size is 21-1/2"w x 60"h, where 1/2" on each side is covered. Your graphics should be printed on regular poster paper, so as to ensure they will fit securely within the grooves. This will not be a problem for any printing service facility. 37.4" x 73.5" x 24.0"
37.4" x 1.0" x 24.0"